Is your college kid contemplating a move off campus? The dorm vs. apartment, on campus vs. off campus question, is a common topic for sophomores and juniors. Some colleges offer on-campus apartments as well as dormitory options, but most students start at least thinking about moving off-campus halfway through their college tenure. Here are some things to think about, before making the big decision. Dorms tend to be significantly pricier than living in a modest, shared apartment, especially when you take square footage into account. But that $14,000 per year dorm fee generally includes a substantial dining hall allowance. Make sure you remove the food tab from the equation so you're comparing apples and apples, not apples and oranges. And don't forget those other costs of apartment living: utilities, internet, and garbage service. Final caveat: your college kid likely won't qualify for an apartment on his own, so you'll need to cosign the lease. There's no doubt that living on campus is convenient. Classes are right there. Food is served by the buffet-load. Medical help for even minor issues is moments away. Move off campus and there will be transportation costs and/or on-campus parking issues. Your kid will need to have at least rudimentary cooking skills. And there won't be an R.A. just down the hall, ready to help. 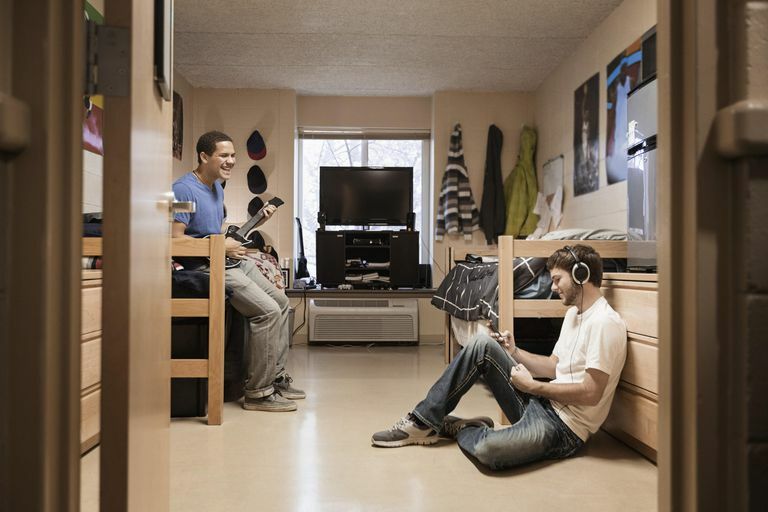 Dorms are ready-made hubs of sociability. Everyone's the same age and going through the same things, and everyone is eager to make friends. Depending on the apartment complex and your college kid's level of gregariousness, he or she may find it difficult to meet people and make new friends. That can be a huge issue for freshmen, but not so much for upperclassmen who have already made plenty of friends. P.S. It's much easier to meet new people in apartment complexes with attractive common areas - a pool, basketball courts or lounge - and where college kids make up the majority of the residents. In general, apartments are much quieter than dorms, where the steady sounds of partying or merely boisterous neighbors waft through the walls. Apartments tend to be calmer. There's more room to spread out. And your kid won't be sharing a bathroom with 10 or 20 other people. Bedrooms in an apartment may be even smaller than that tiny dorm room. 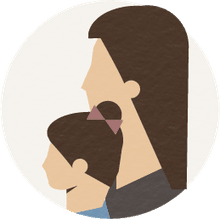 But unless your child is considering a studio, conversion, or junior one-bedroom, apartments have room to spread out - a living room and a kitchen. And the bathroom is an actual room, not a cubicle. Dining hall cuisine may have its detractors, but at least someone is providing three feasts a day. In an apartment, the grocery shopping and cooking is up to your child. That means developing some cooking skills and a recipe repertoire - and budgeting skills. Groceries cost substantially more than dorm dwellers usually realize. Dorm laundry rooms are open 24/7. Apartments may have limited hours or no on-site laundry at all. Parking is either included in the apartment rent or available for a reasonable cost. And if the apartment complex has a pool, it's right there and ready for splashing - not across campus and monopolized by the college's swim team.